Crestfallen, to log in here and to find this message of denial was all part of Barclay’s elaborate ploy to get you to call them at 866-408-4064. (credit analyst) 8am-5pm EST Monday to Friday. Turns out they do a really hard pull and will interview you on your motives of getting yet another card. So prepare yourself kids, its like a job interview meets tinder date! They asked for sources of income, your share of a combined income. They wanted to know your specific occupation. They asked about why would you need yet another Barclay card, also why there were 7 other cards that year. I told them the truth, I have been traveling a lot and have been seeking a perfect soulcard, one that will meet all of my needs. I attested that this gold card might finally be the one! A credit card that that would end my search for others forever! 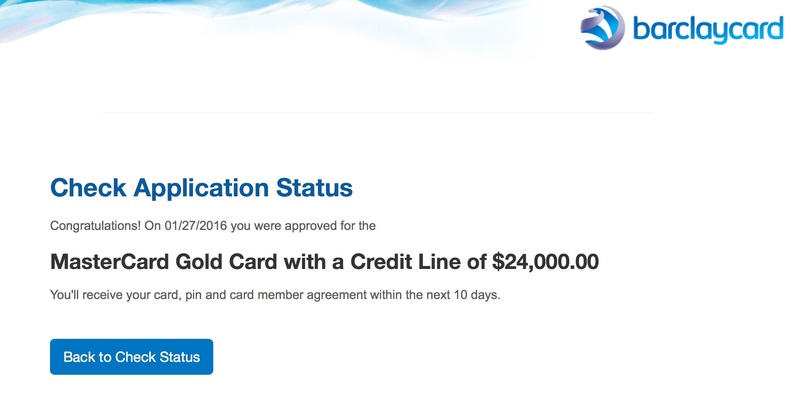 After a few pregnant pauses (try not to blabber on and on) they agreed to not extend any more credit and reduce my other Barclay accounts to $500 each giving me a whopping $24,000 in credit. Hoping to use this to fund a citigold checking account. More to come on that once I get around to it. 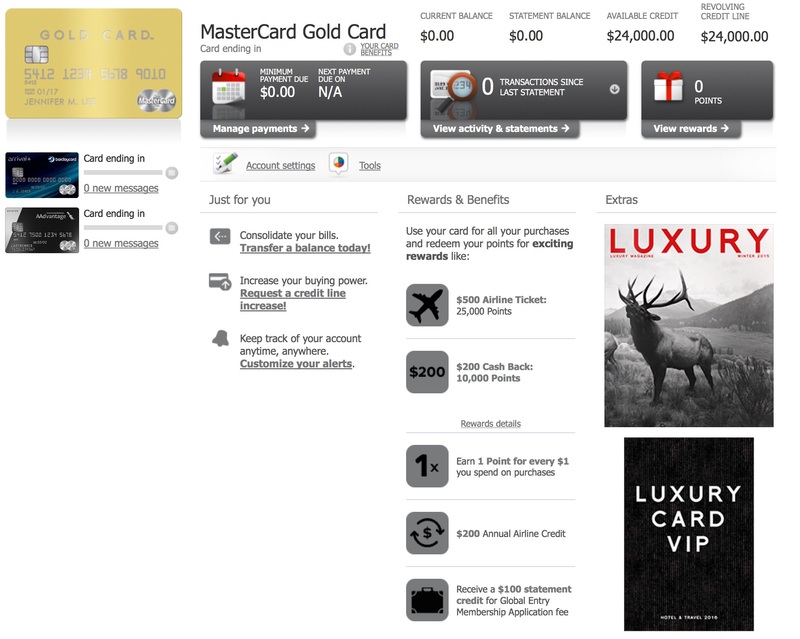 Don’t let www.myluxurycard.com fool you, its just the normal Barclay site! More to come are unboxing and macro photos of the fit and finish of the card. I tried to add $295 authorized users but they said I had to wait till the card arrived via USPS (they’re much smarter about APO/FPO than AmEx). I however they transfered me to the military departmentet and had them graciously waive the annual fee of $995 indefinitely due to my officer situation (no end to a commission). It was a very intrusive but pleasantly surprising situation. Excellent marketing here to play with your millennial tendencies of rejection. Proving my point of the target market of this card is not the same as AmEx Platnum but rather the DINK HENRYS who love shiny heavy objects.